It was a cold Pearl Harbor Day morning in 1976 as I arose to head to work. This morning our crew was going to one of the Sears-Roebuck stores to do some painting before the shoppers arrived. Typically, we would enter a store about 6 AM. We would paint for two hours, then head to our “day job”. Today took us back to a large residence in Highland Park, Texas. Due to the cold and our longer-than-usual day, we stopped work early. It was payday so we turned in our hours and received our checks. I jumped into my 1967 Black SunRoof Beetle with the Brick-red interior, pulled the heat and defrost levers upright and headed home. It soon became quite cozy in that Beetle and I would doze at each stop light. At Lawther and Northwest Highway, I recall quite distinctly awaking from such a snooze and starting with the rest of traffic. I was about half-way home by now. The next recollection was the sound of crunching gravel, and a whack as I knocked down a shoulder marker. Directly ahead loomed larger than life the first of three depressions where run-off water from the divided roadway collected. It was about half full. Whether it was aloud or not, I cannot remember, but I said “Help me God!” and held fast to the steering wheel as the car launched into space and ker-splashed into the “drink”! Water poured through the speaker grill, through the glove box, through the radio. The car came to rest and immediately began to sink. I opened the driver’s door and started swimming, then realized that the water was not that deep. I waded to the shore and climbed the bank. Looking back at the car, I noticed that the oil and generator lights were shining—I had left the key on. Probably in shock, because at that point it mattered not that the key was on or off, I clambered down the bank and waded to the car, reached in and turned off the key and pocketed it. On the bank, I had not long to contemplate my plight. A squad car rolled onto the median and the officer approached me. After I explained what had happened, he offered me a seat in his car. The warmth of the heater was comforting to a cold and shivering guy. I laid my pay check on the dash to dry. About that time, a TV reporter arrived on the scene. He came to the patrol car and tapped on the window. I lowered the window a bit. He asked me for a statement. I responded, “Will it bring my car back?” Then I raised the window. Later, a friend told my wife that she had seen the story on TV that evening. The reporter told the viewers that “…because of the women and children in the audience, we cannot repeat what the driver said.” I was incensed because I had said nothing offensive to anyone. Apparently the reporter devised that to cover his lack of any comments at all from me. Someone called Fire-Rescue. Then, a tow truck arrived. After surveying the situation, one of the firemen donned a wet suit and hauled the business end of the tow cable into the water and attached it to the bumper bracket. I tried to explain that he needed to attach to something more substantial but I was told that I should be glad that someone was working to remove my car from the water. I watched as the man opened both doors. By this time, the car had settled into the murky water so that only the windows and the top of the car were showing. The tow operator began winching the car from the water. Water poured from its interior. When the car was on the bank and secured to the truck, the tow driver announced, “…this car is going to the pound!” He said it loudly but to no one in particular. I protested. He checked again and was told to do a private tow for the customer. Those were happy words! The drive home was uneventful. I sat in the front seat of the tow truck contemplating my next move. That tow cost me $40, which was a chunk in those days. I opened the car’s doors, decklid and trunk, cranked back the sun roof and removed the seats. My next move was to drain and clean the gas tank and to replace the “black box”. The weather turned colder and everything H2O froze. I could not drain the oil. It was a couple of days later that I could drain the oil and refill the crankcase. The engine started and I drove around the neighborhood until the engine had warmed. Back at the house, I again drained, then added fresh oil. She was good to go. I did replace the front bumper, thanks to a local salvage yard. My dad, who was at our house at the time, tightened the bolts of the passenger front fender—which had tried to part ways with the body when I hit that shoulder marker. The only other effect noticed came to light some time later. My father and I had been on an errand across town. When we returned home and had parked the car, I noticed a tiny column of smoke emanating from beneath the back seat. I disconnected the battery and replaced the regulator. The points had frozen shut due to the remaining moisture in the box. For many months, I was reminded of my mishap every time I passed the spot. Someone had pushed the shoulder marker upright again, although it bore the mark of my bumper. And my tire tracks were clearly visible. Needless to say—this was one wake-up call which I never have forgotten! The result of the poor attachment of the tow hook to the bumper bracket was that the car was slightly hiked up at that point. As I look back, I think of other cars which have “gone swimming” but which took much more time and money to resurrect than did that humble Beetle. In fact, today’s cars probably would not make it back onto the roadway—they would become salvage vehicles. There were a couple of funny things to come out of this disaster. A magnetic sticker which I had purchased and put onto the dash read “When Life Gives You Lemons—Make Lemonade”. While the car’s doors were open and things were drying—someone stole that sticker! I had a wonderful wool stocking cap in the glove box. My wife put that into the dryer, not thinking about the wool aspect of it. When she retrieved the cap, it had shrunk so much that it would fit a small doll perfectly! We have laughed about that over the years! What a fantastic story. While reading, I sorta knew that the car would run again. These cars were made so well! Oh, Happy Birthday! 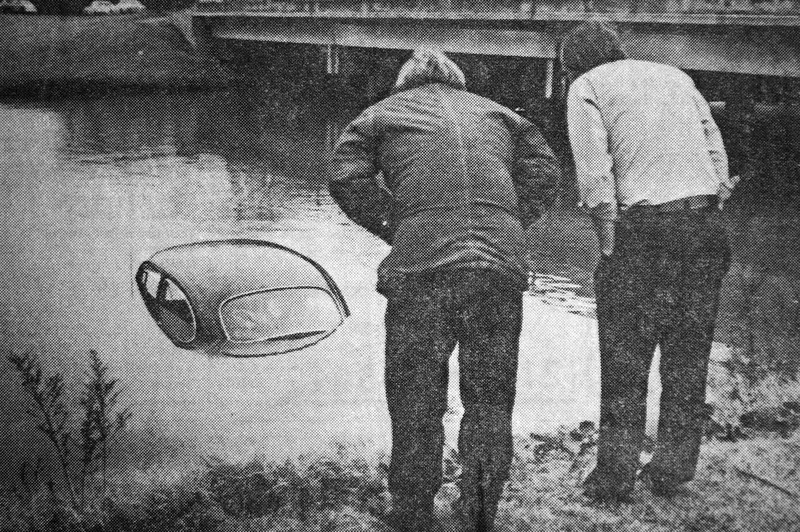 Eric…Knowing what I now know, I believe that I could have driven that car away after it was pulled from the water. It still would have needed an oil change and the gas tank cleaned and the other stuff. But, I just know that it would have cranked and run! Given all of that–it’s an experience that I intend never to repeat! LOL The story took place just over 37 years ago. How time flies when you’re driving VWs! I was turning 38 at the time. At 75, I’m still driving these vehicles. Great story! These VWs give us so many. Thanks! Happy New Year! Very well written Jay which makes this story so enjoyable to read. That magnetic sticker may now be in someone’s car and helping the ‘new owner’ along the way. Happy New Year to everyone and to our dear friend Jay ~ Many Happy Returns of the day. Great story Jay! As I am learning more about how to keep my ’67 moving me down the road I become more impressed with these cars and the ingenuity of it’s designers and builders! Your experience just gives me another level of respect for you and the VW! Oh, BTW, I replaced my clutch hook and rebuilt the pedal assembly myself, but did have to hire out the welding for the clutch cable guide tube! It broke the last 4 1/2″ where the Bowden tube connects at the last bracket! The guy doing the work, Randy Cooper of Airhead Parts in Ventura, California, did a great job! Worth paying someone with his skill and knowledge of the Vintage VW! Sorry, I meant to say Rodney Cooper of Airhead Parts! 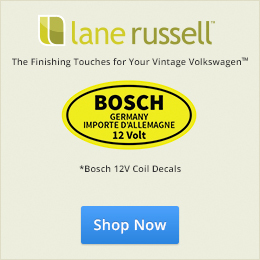 Rodney was featured on the show “Overhauling” restoring, along with the with the show’s regulars, a 1967 VW Beetle! And, you guessed it, he replaced the the clutch guide tube, among other things, as well as being the show’s technical advisor for the ’67 Beetle! Jay, man, what a story! Glad you made it out OK. You’re probably right, your Bug very well might have started right up and ran you home. Could have avoided the nasty $40 tow charge. But if you think about what could have happened, and that you just had to drain the gas tank and do a few other things maintenance-wise afterwards, you came out all right. Thanks for sharing! And yes, everyone, it is a testament to the Bug’s tough German build quality, too. Jay, I enjoy all of your stories and this one especially. Thanks and Happy New Year. Thanks for reading! We miss you guys. Thank you for your kind words! Yes…I wouldn’t say that I haven’t been thankful all of my life for each day, but there’s nothing like aging to cause a person to be MORE thankful! Seriously! As I was learning about VWs, there were many who stepped in to point the way. It is amazing how many people want to share their knowledge with a newbie! So…if I have opportunity to pass my little bit along, I’m glad to do it. I think that every Volkswagen owner has something to add. It was a stroke of genius when Eric devised a way for all of us to participate! I’ve heard that one in person, but glad to get all the little details. Our cars are rugged for sure. I indded know the spot where it happened. A new bridge now takes you out of harms way and the water. Does a VW Beetle float? Just watch! Great video…I have faint memories of it from it’s original run on TV. Sure enough the little red VW Bug floats when in the water. The only car sealed off completely underneath, did the announcer say “in steel”? Wow, either way, ya gotta like that action, baby! Thanks for sharing, Eric! Yep, if only Teddy Kennedy had been driving a VW. History would have been different. I know not PC… get over it. Great story Jay and a great ending, luckily. I’ve never had an issue of dozing off at the wheel but it did happen to me in the days before battery chargers were common. It happened in my driveway and it almost took my life! I was charging the battery on my Model A Ford by running the engine at slightly accelerated RPM. The CO level inside the car must have risen to the point of almost no return when I began to try to figure out how the door handle opened the door. It flips straight up in those cars but it took me a while! The door opened and I rolled out onto the running board and to the ground where I lay for several minutes until my wife came out and asked why I was watching the clouds roll by in a semi-inverted position! She helped me into the house, shut off the beast and man did I enjoy a whopping headache for a number of days!!! A few brain cells less and a few decades of experience later I am very careful with exhaust in that car (still have it) and my 67 VW as heater boxes up in Canada are notoriously hard to keep in shape. I use them rarely as the car is driven May to September basically. We have salt that grows on roads in winter in Southern Ontario! (Canada not California). I am a believer that God has plans. He certainly had one of many for you! Always enjoy your input. The carb story a while back got me doing a better rebuild. Have a great New Year! Wish I lived closer to you guys. We have a lot in common despite border and space differences! What a great website. Thanks to Eric. Thanks for reading. 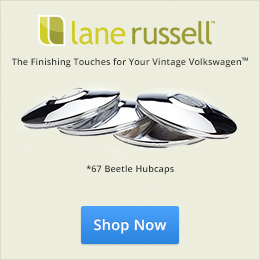 I feel we’re all connected because of 1967beetle.com. Wow, Tom…you really had a close call. Your story should put us all aware of running an engine in an enclosed garage, for example. Another one is cleaning parts using gasoline, indoors! I’ve run into that one frequently. Thanks for turning our attention to Safety First! We in Texas are having to be more careful with our vintage Volkswagens during the Winter. Salt or other de-icing chemicals are increasingly being used. That’s time to shut down the engine and store the car. I’m glad that the little article on carburetors has helped you to do a more complete rebuild. I hate to go to the trouble of removing the carb anyway–but having to do it a second time because I failed to do a good job the first time–no way! Thanks for joining the great conversation here at 1967Beetle.com! There’s nothing like it!